We are pleased to present this magnificent adoptee-created and -directed feature film about finding one's roots. If you have already seen it, this is your chance to discuss your thoughts and reactions with other adoptees; if not, don't miss this experience! RSVP: eMail Bianca Kuijper bkuijper@alsoknownas.org. Please rsvp so we can set up adequate seating! In order to experience this film properly and not interfere with other's enjoyment, please make a special effort to arrive on time. Friday, April 26th at 6pm! Donburi is a restaurant with a specialty in Japanese comfort food! It is located in Dupont Circle at 1134 19th St NW, Washington, DC 20036. This event is for Chinese adoptees ages 18+. Please ensure that you RSVP here BEFORE April 26th, so we can make an accurate reservation. Saturday, April 27–Sunday, April 28, 2019 | 10 a.m.–6 p.m.
Taiko Drumming • Cosplay Fashion Show • Tea Ceremonies • Kabuki Dance • Samurai Sword Fighting • Manga Drawing • Vintage Kimonos • Bonsai • Kids’ Workshops • Wagashi Sweets • BBG Parasol Society and More! Please RSVP here so that we have an accurate idea of who is coming! Join us in Chinatown to enjoy the nice weather and grab some good eats! We'll be getting our food to take to the park across the street, so feel free to grab food from another restaurant as well! Chinese adoptees and friends 18+ welcome! OCA Long Island, New Jersey, New York, and Westchester/Hudson Valley chapters. Students $15 • All others $25. Students $25 • All others $35. What does it mean to be part of multiple worlds, and yet, not fully belong? Where and how do we create safe spaces of our own as we navigate our cultures--and which ones can we lay claim to? Learn how FCCNY young adults connect with their birth culture after being adopted as babies into the US. We will examine how our families played a role, how we integrate Asian American culture into our identities as adults, and how our cultural connections continue to evolve and influence our sense of self and community. We welcome attendee participation in this discussion. This will be an informal space for those who identify as an APA adoptee to network, connect, and build community. Adoptees will have autonomy over how they utilize this session, with the APA Women's Conference and the topics that arose throughout the day as a framework for conversation. - What are the experiences of Asian American women that create conflict and cause confusion in their identity development? - What are conflicts and tensions encountered by Asian American women as a result of racism, immigration, and image? - What are the solutions to coping with these stressors and conflicts?" A discussion of South Asian societal expectations for a male vs. female; raising a son vs. a daughter; skin tone; the pressures of getting married; and women in business. A discussion of social, family and community experiences from the perspectives of an undergraduate student and a working professional. Hear about the formation of Q-Wave, an organization for queer Asian women, trans and gender non-conforming folks, and Lunar New Year for All, a queer Asian contingent in NYC's largest lunar new year parade. Two concrete examples of how we can empower ourselves and our communities. Join us as we bring together APA women leaders from various professions for a candid conversation sharing their insights, experiences and strategies to overcome the challenges faced by Asian women in the workplace. We will discuss their journeys, career paths and wisdom and explore how these women built their leadership skills to leverage them for success. Join us for a panel featuring passionate and inspirational women who are dedicated to giving back. Each woman will inspire and offer insight on how you can make an impact in our communities and lead with purpose. In the throes of all the many changes Chinatown is going through as more and more storefronts are shuttered and the population gets younger and whiter, family-owned businesses are a rarity as they strive to survive. Millennial children are choosing more and more not to take over the family business and move to the outer boroughs or the suburbs. And yet, there are some 2nd generation Chinese Americans - Chinese American women, at that - who are choosing to continue their family business in the heart of Chinatown, where it all started, and continue to be a mainstay in a community that is in flux. Join us for this free gathering of parent support group leaders and members, where parents will talk about ways to connect with others and share experiences. In addition, Nim Tottenham, Ph.D, Professor of Psychology at Columbia University, will discuss the importance of peer connections and look at “brain architecture” in terms of identity and trauma. The goal is to bring adoptive parents, foster parents and relative caregivers together for a morning of discussion to share concerns, provide training and connect with one another locally. Bring the kids! Free childcare will be available for pre-registered children ages five and up. The Coalition’s Youth Programming Coordinator will lead youths in the Express Yourself art program. A light breakfast of bagels, muffins, fruit and beverages will be available. Certificates verifying training hours available for foster parents upon request. Contact Amy Drayer, Director of Foster, Kinship and Parent Group Services at 646.688.4321 or through email at amy@affcny.org with any questions. Saturday, May 4th from 9:45 AM to 1:00 PM at Columbia University, Psychology Department, Schermerhorn Hall, Room 200B in Manhattan. for Young Adult Chinese adoptees! 12pm-2pm, in Manhattan midtown east. Exact location will be provided upon registration here with your YA account. This month's discussion topic is "Identity Development of Transracial Adoptees"
Discussion starter questions coming soon! We would like to facilitate discussion about topics such as racial identity development, racism and discrimination, and feelings about being adopted. The goal is for us to share and explore similarities and differences in our experiences in a supportive setting and talk about experiences and feelings that non-Chinese adoptees can’t necessarily relate to. Keynote Address:Rethinking Adoption in the 21st Century: Progressing from "Child Placement" to "Family Success"
child welfare professionals, adoptees, and kinship guardians. Academic David L. Eng and psychotherapist Shinhee Han first met in the mid-1990s when they were brought together by their collective sorrow by a spate of student suicides at Columbia University. Don’t miss this special discussion of their new book, Racial Melancholia, Racial Dissociation (Duke University Press 2019), which explores the psychic trauma of Asian American young adults from Generation X to Generation Y who they associate respectively with melancholia and dissociation. Through critical race theory and psychoanalytic theory, Eng and Han explore the loss of migration, displacement, and assimilation, as well as Asian American tropes such as coming out, transnational adoption, and model minority stereotypes. David L. Eng is Richard L. Fisher Professor of English at the University of Pennsylvania. He is the author of The Feeling of Kinship: Queer Liberalism and the Racialization of Intimacy and Racial Castration: Managing Masculinity in Asian America as well as co-editor of Loss: The Politics of Mourning and Q & A: Queer in Asian America. Eng is an honorary member of the Institute for Psychoanalytic Training and Research (IPTAR) in New York City. Join NYC Parks and the Museum of Chinese in America (MOCA) for four film screenings at Columbus Park in the month of June. Pack a picnic, grab a blanket, and come enjoy a movie. Movies begin at dusk. MOCA Cinema at Columbus Park is free and open to the public. The Professor: Tai Chi's Journey West is a documentary about Tai Chi and one of its great masters, Cheng Man-Ching, a man who brought Tai Chi and Chinese culture to the West during the swinging, turbulent '60s. Special thank you to NYC Council Member Margaret Chin’s support. Little more than a one-hour drive north of NYC, Storm King Art Center is a 500-acre outdoor sculpture garden featuring enormous-scale installations from art world superstars such as Alexander Calder, Maya Lin, Donald Judd, Roy Lichtenstein, Richard Serra and Louise Bourgeois. Against the backdrop of the magnificent rolling hills, meadows, forests and creeks of the Hudson Valley you feel like a Lilliputian walking among the relics of giants. Even if you’re not an art lover, it’s impossible not to be swept away by the beauty and wonder of it all. Join with other FCC members for a private tour of this magnificent site and then stay for a picnic lunch. It’s a day you won’t forget! *Price includes admission to Storm King and a 12:00 noon Private Tour. Bring your own picnic lunch or purchase a lunch at Storm King’s Outdoor Café or Café Cart. Carpool: If you’re interested in carpooling (either offering or needing a ride) contact Gary Matles at gmatles@fccny.org and we’ll try to match you up). By Train: Metro North from Grand Central Station to Beacon and then a 20 minute Taxi or Shuttle ride from Beacon Station – check for schedule. New Jersey Transit offers service from Penn Station New York and Frank Lautenberg Station in Secaucus to the Salisbury Mills Cornwall Station which is located a 3 mile taxi ride from Storm King Are Center – check for schedule. Please contact us at info@kaanet.org if you have questions. Join us for three days of keynotes, films, presentations, roundtables, performers, exhibits, support forums, and life-changing community. An adoptee-only track is provided alongside our general breakout sessions, which are open to all. We offer programs for adults, youth (7-17), and children (3-7). All are welcome, especially adoptees (our center), family (spouses, siblings, children, parents of adoptees), mental health and service providers, and non-adopted Koreans and Korean-Americans. KAAN is a national nonprofit with an all-volunteer staff. Our mission is to build understanding and stronger connections among adoptees, adoptive and birth families, Koreans, and Korean-Americans. Since 1998 we have nurtured a network of individuals and organizations related to Korean adoption, connecting the community through our annual conferences and frequent newsletters of events and opportunities from around the nation and world. We also welcome members of other international or interethnic adoptive communities, as we often share some common experiences and can learn from each other. Since 1999, KAAN has provided annual conferences in the U.S. or Korea. These conferences are unique assemblies of Korean-born adoptees of all ages as well as family through birth, adoption or marriage, other Koreans and Korean-Americans, social workers, adoptees from other backgrounds, community leaders, and more. Through gathering together, we find what we have in common and where we can help one another. Our conferences provide 30+ sessions on race and identity, family relationships, parenting tools, search and reunion, etc. Presenters include authors, educators, activists, therapists, and grassroots leaders. Each block includes an adoptee-only session as well as many choices open to all. Cultural and social activities are offered as well as vendors, exhibits, and film screenings. NOTE THERE HAS BEEN A LOCATION CHANGE TO THIS EVENT, please find out more directly from Adopteen, an organization run by the CCAI adoption agency. STIRLING, New Jersey -- Registration is now open for Camp Friendship China, a week-long summer day camp for Chinese-born adoptees and their siblings entering kindergarten through 8th grade. The camp will be held the week of July 22 from 9:45 a.m. to 2:45 p.m. at the Shrine of St. Joseph in Stirling, New Jersey. For more information, and to register, visit www.campfriendshipnj.org. The nonprofit Camp Friendship China was launched 12 years ago to encourage Chinese adoptees to explore their culture and heritage through a variety of fun activities including art, music, martial arts, cooking, dance, language and folklore. Each year, camp ends with a Chinese food banquet and show featuring the campers. Classes are taught by teachers and other professionals in the Chinese-American community. Cost to register is $170 for one camper; $295 for two, and $405 for three. camp’s registration form. The deadline to register is May 23. For more information, and to register, visit www.campfriendshipnj.org. Register now for a week of fun this summer! Our camps offer a unique experience where your adopted child will have the opportunity to participate in sports, swimming, games, and other camp activities while also exploring their identity with other adoptees. We hope to encourage an environment where lifelong friends and memories are made each summer. But be sure to register before space fills up! ? Questions? please contact Pame Chow at pamec@holtinternational.org or 541-687-2202 ext. 122. 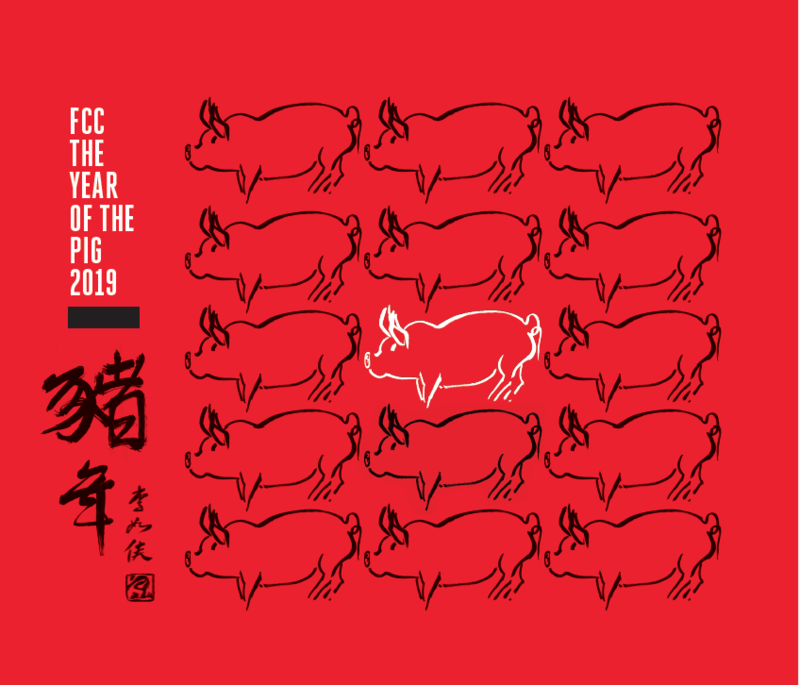 06 Apr 2019 MOCACREATE Celebrate Qing Ming & Welcome Spring! 18 Mar 2019 FCCNY Documentary Screening of "American Revolutionary: The Evolution Of Grace Lee Boggs"
05 Feb 2019 China Institute Chinese New Year Day Camp! 09 Nov 2018 Teens Take The Met! 30 Sep 2018 OCA & FCC Present: Asian American in 2018! 06 Jul 2018 First Ever FCC Young Adult Retreat! 07 Mar 2018 AKA happy hour & screening YELLOW FEVER starring Korean Adoptee Jenna Ushkowitz of Glee. 24 Feb 2018 Celebrate the Knicks, MOCA, and the Year of the Dog @ MSG! 20 Jan 2018 Also-known-as Parenting Event: "What Does Your Adopted Teen Need from You?" 09 Dec 2017 FCC goes to the Met Opera! Mozart’s "The Magic Flute"
10 Sep 2017 FCC Club P.T. for middle school girls entering 6th, 7th & 8th grade. 28 Jul 2017 OUR CAMP CHINA in Black Mountain, NC. 20 Jul 2017 ALP webinar-Birth Family Search: How Crazy is This Going to Get? 01 May 2017 Adoptive Parent Wine & Cheese Night with Nim Tottenham, Ph.D.
21 Mar 2017 DAI: Women, Adoption and Family - Reclaiming Our Narrative. 22 Jan 2017 Brooklyn Center of the Performing Arts LNY Celebration w Nai-Ni Chen Dance Co.
01 Nov 2016 FCCNY Westchester Club P.T. 17 Sep 2016 FCCNE: What is it Like to Find your Birth Parents? in Cambridge MA. 23 Jun 2016 NEW! Mandarin Meetup at China Institute: Practice Chinese for FREE! 21 Jun 2016 NIGHT AT THE MUSEUMS in Lower Manhattan - FREE! 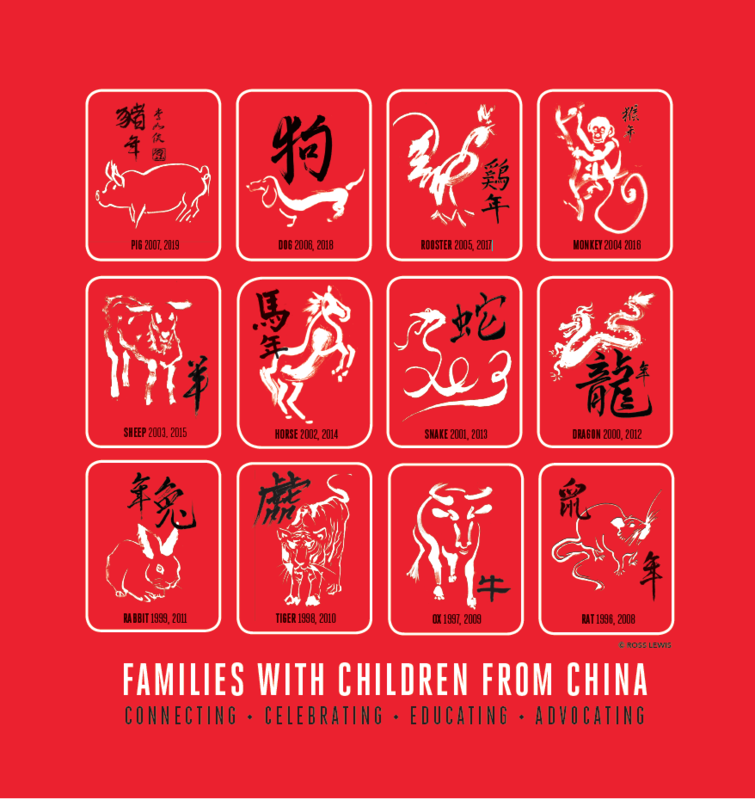 20 Feb 2016 Museum of Chinese in America Lunar New Year Family Festival! 07 Jun 2015 Egg Rolls & Egg Creams Festival — and introducing Empanadas! 11 Apr 2015 MOCAFAMILY: Qing Ming Family Festival!